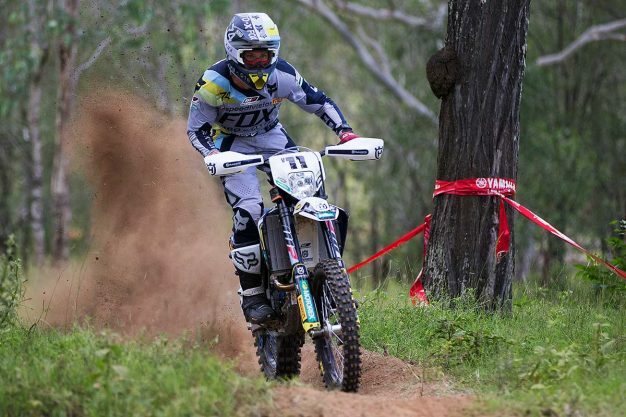 Husqvarna Enduro Racing Team’s Daniel ‘Chucky’ Sanders swept the E2 ranks on return to the Yamaha Australian Off-Road Championship (AORC) at Gympie’s opening rounds, also topping Sunday’s action outright. 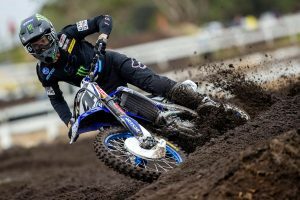 Back home following a tough campaign in EnduroGP, MotoOnline.com.au spoke to the Victorian about his success on debut with the FE 450. Why were you able to be so competitive on return to the AORC? Getting back from Europe, I put in the work and have put full commitment into everything. 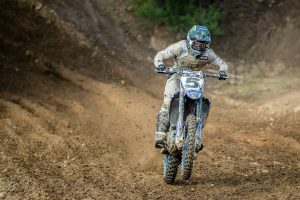 The team and I have been knuckling down and working so hard on getting my riding style back to where it was, getting back to where I was as a rider. 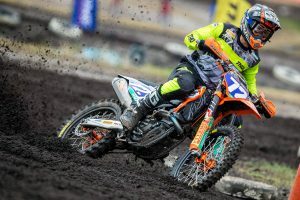 I wanted to have fun and enjoy riding a bike again, so other than that, it just came together at the 12-hour before the Aussie rounds on the weekend, it all clicked and I was able to put it down at rounds one and two. 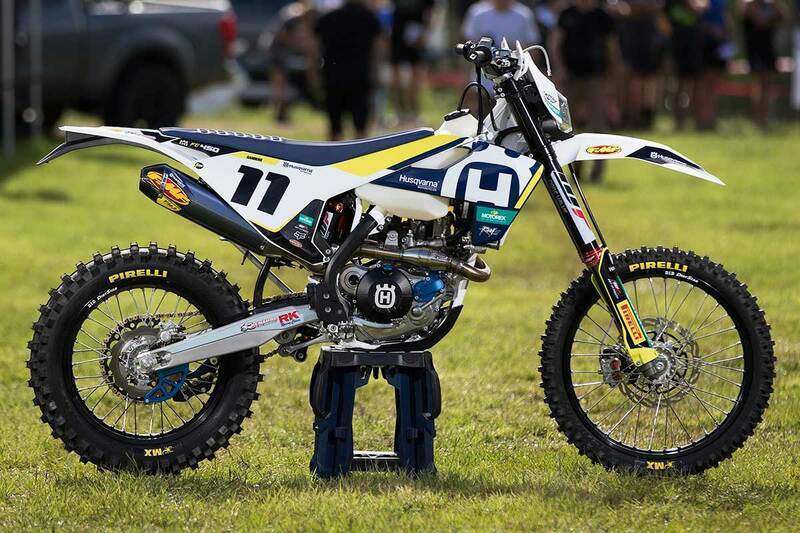 Why do you feel you’ve gelled so well with the Husqvarna Enduro Racing Team? Pretty much, when we found out I was going to be on the team with them, they were super-pumped to have someone with my success in the past and experience of that level. They were really excited that I could bring that to the table and are happy to go out of their way with everything, taking extra time for work out of their days with family and friends to commit to the team. Plus, with my teammates Lachy [Stanford] and Fraser [Higlett], we gel really well and have a good time together. In some ways we keep our mind off of the serious side of racing, keep the pressure off, but still put in the work for the results when we’re going racing. Why is Gympie a popular one with riders? Being close to that Kilkivan race we had in the past, that was where I would get my two worst results most of the time, but Miva – about 20km away – is just an amazing property really. There’s a massive variety of terrain there and it’s just easy for those guys to go out and make an amazing track, so all of the riders loved it. We were blessed with the conditions we had, it couldn’t get any better, and everyone was happy with it. It wasn’t super-quick, just technical and real enduro, off-road racing. That’s why everyone loved it, other than the bunting issues, and aside from that the track was awesome. Why does outright matter so much when it’s not an official championship? The outright results are why everyone is taking off in first position for a test and, same as classes, you just always want to be ahead of the pack and winning. It’s another form of winning really, because you can win your class and then also win the outright. The manufacturers use the outright to judge the overall speed and for us, as riders, it helps us to push the limits and elevate ourselves on the bike. Even though we’re on different capacity bikes, it keeps everyone moving forward and progressing against each-other. Why can we expect this year’s series to be one of the best? Obviously having myself and [Daniel] Milner battling for that outright, even though they’re not going directly off of it for championships, I think we’ve always had that bit of rivalry through our racing careers. Even though he was always that bit older, I was just learning, learning, learning and now we’re both at our max capabilities in prime form. We’ve gone overseas and done that, so it’s cool to be back and both at our top-game to go racing. We get to push each-other and keep setting the standard, because if we can do that, when we send our Six-Days team over we can go better again. It’s good be in that position we’re in, because if we were to go off of classes with no-one to push him or to push me for example, it’s good to have each-other to race against and move forward.